Since 2008, my career interests have held tightly to the intersection of environmental studies, art and art history. My undergraduate practice and research focused on the intersection between the environmental and art movements of the 1970's through present day, culminating in a solo show my final year, "The End of the World." I then worked in the arts, museum, music and environmental communities of Minneapolis and St. Paul, Minnesota for several years, before departing to Colorado to continue my education. In my second year as a journalism graduate student at the University of Colorado Boulder, I pursued this lifelong interest through a journalistic lens by illuminating contemporary Arctic artists and art institutions whose work highlight the evolving environmental issues confronting Arctic communities and cultures today. In October 2017 I attended the 2017 Art + Environment Conference at the Nevada Museum of Art in Reno, Nevada, home to the Center for Art + Environment, as an educational contributor. In January 2018 I attended the Arctic Frontiers Conference in Tromsø, Norway, where I interviewed Maria Utsi, Director of the annual Arctic Arts Festival, and her colleague Ingermarie Lampelupton, who works with the Arctic Arts Summit. There I also spoke with Anchorage Museum Director Julie Decker, who I visited again in March in Anchorage, Alaska while reporting on a grant and reconvened with several indigenous Alaskan artists. Having now received my master's degree, I continue to stay involved in the overlap of art, artists and environmental issues, and I want to plant myself—and my career—right in the middle of it. I aim to become a sought-after reporter and contributor on the subject, and one day publish books on the topic. I am returning to Europe to cover the second biannual Arctic Arts Summit in June 2019, held in Rovaniemi, Finland, to continue building momentum in covering the eco-arts. Although the eco-arctic-arts might seem like a niche subject, it relates to so many pressing issues of our times: communicating science to the public in an engaging and captivating way, re-establishing the rights of indigenous communities across the world, and the developing effects of climate change in the Arctic both on landscapes and populations. Although most people in the world will never visit the Arctic, awareness of the vibrant artistic and cultural goings-on there can be communicated through media coverage. And like artists, the role of reporters is to bear witness and to create a record of this change. It is vital to document Arctic arts events in person because of the biased and inaccurate narratives previously presented by southern regions about the north. What is needed in this situation is more reporting directly from the Arctic to the rest of the world, so the north can tell its own stories. If you are interested in supporting my reporting, publishing my work, or collaborating in this field, please be in touch. 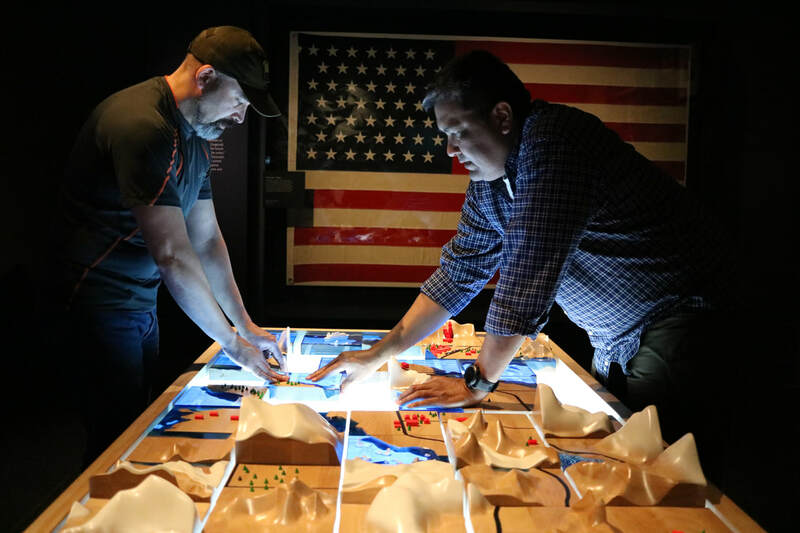 Two visitors to the Anchorage Museum in Anchorage, Alaska, work together to solve a large puzzle about land use in one of the galleries.